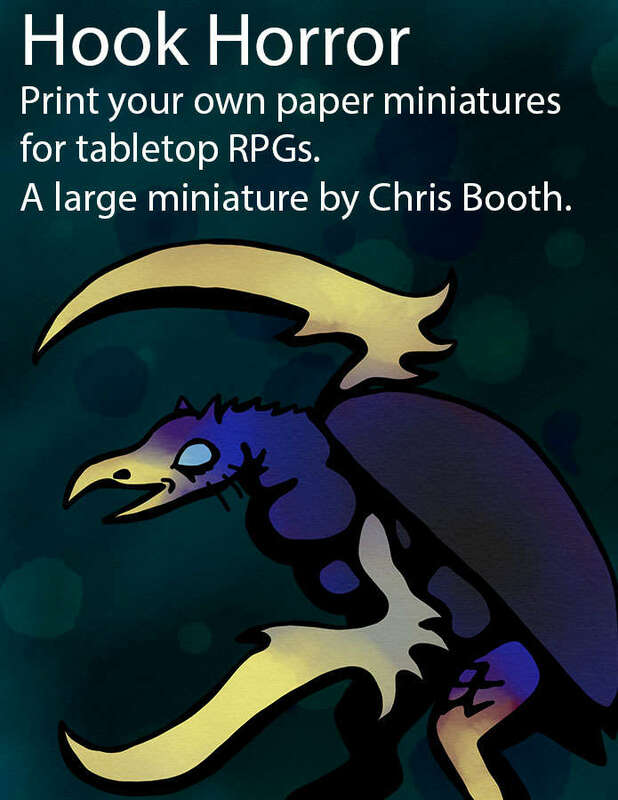 This is a paper miniature that you can print and construct yourself to represent a hook horror. (The pack has two identical miniatures on the one page.) My plan is to come back to this at a later date and add younger hook horrors as well. The drawings I've used was originally made to use in my own weekly campaign. I hope you enjoy using it as much as I have!